Anderson Service performs inspection services on almost all material handling equipment. 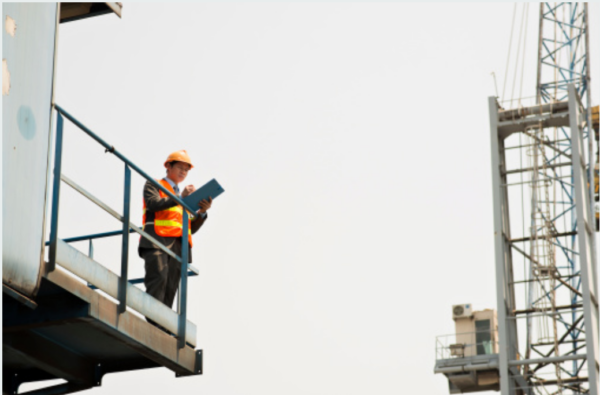 All inspections are performed to the latest OSHA, ANSI and ASME standards. Certified inspections performed by Anderson Service are performed to the most stringent specifications and encompass the whole forklift, crane, hoist, and carrier. We feel that we offer the highest quality inspections and leave the customer with a complete and safe work environment. Each certified inspection performed by Anderson Service comes with its own professional folder and all unit information on the inside. A certificate of inspection signed by your inspector and Anderson Service Inspection decal or tag also comes with every inspection. Upon completion of your certified inspection, the inspector will explain all forms and answer any questions the customer may have reguarding his or her inspection. We also encourage the customer to call anytime with any questions about laws or standards. We are a qualified repair facility as well and we can provide you with recommendations for repair issues. We perform your certified inspections for a lump sum price reguardless of your units condition and often don’t charge for travel. Dielectric Testing-Bucket trucks require periodic dielectric testing and inspections to ensure all insulative qualities are still intact. Testing intervals differ according to the equipment and the job. Therefore, all boom trucks should follow the manufacturer’s recommendations for routine dielectric testing, as well as testing procedures published by OSHA and ANSI to ensure proper function and operator safety. Only with frequent dielectric inspection and testing can insulation problems be determined before a deadly accident occurs. Please contact Anderson Service today for all of dielectric testing! For more information or to request an inspection please contact us at (800) 776-4297 or e-mail us. Thank you for considering Anderson Service and BE SURE AND BE SAFE.